The Mumbai International Film Festival for Documentary, Short and Animation Films will be held from January 28 to February 3. The line-up for the 15th edition of the biennial Mumbai International Film Festival for Documentary, Short and Animation Films encompasses a wide range of issues and aesthetics, from the 1984 anti-Sikh riots and the Holocaust to contemporary student activism and the music and visual arts scene in Kashmir. Organised by the Films Division of the Ministry of Information and Broadcasting, the festival will be held across six venues in the city from January 28 to February 3. This year, the festival directorate reportedly received a record 790 entries – 194 submissions from 32 countries for the International Competition section and 596 for the National Competition. Of these 42 films have been shortlisted under the National Competition section, comprising a mix of documentaries, short films and animated movies, and 25 have made it to the International Competition. Documentaries above 60 minutes in length selected for the National Competition section include Subrata Sen’s Kali, Uma Chakravarti’s Lucknow 1920-1949, Vaishali Sinha’s Ask The Sexpert on Mumbai sexologist Mahinder Watsa, Anupama Chandra and Uma Tanuku’s Books We Made, on the feminist publishing house Kali for Women, RV Ramani’s Santhal Family to Mill Re-call, Sanjib Parasar’s Living The Natural Way and Biju Toppo and Meghnath’s Naachi Se Baanchi. The National Competition section also features 14 documentaries under 60 minutes. This list includes Teenaa Kaur’s 1984,When the Sun didn’t Rise, Juhi Bhatt’s Veil Done, Biju Pankaj’s The Loss of Western Ghats, Fazil Nc & Shawn Sebastian’s In the Shade of Fallen Chinar, Swati Chakraborty’s National Award-winning I am Jeeja and Amitabh Parashar’s The Eyes of Darkness, about the blinding of more than 30 undertrials in Bihar’s Bhagalpur district in 1980. The 20 short films (up to 45 minutes) in this competition include Ranjan Chandel’s Beloved, Sharan Venugopal’s Sopanam, Saurav Rai’s Nest, Heena D’Souza’s Pressure Cooker and Prantik Basu’s Sakhisona. The non-competition National Prism section features 24 documentaries and short films shot in various parts of the country. 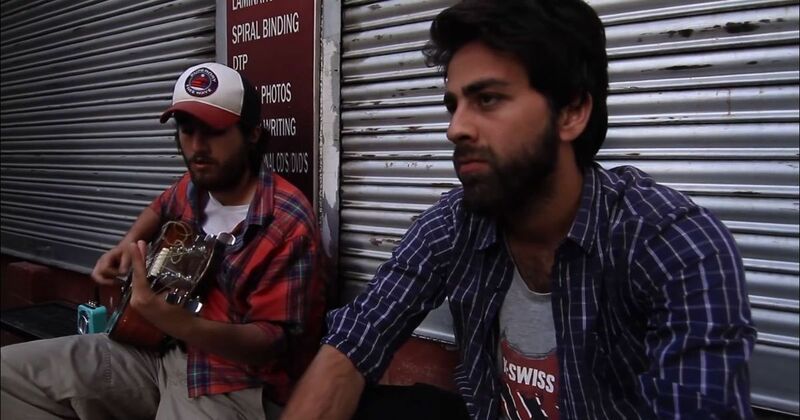 Sunita Malpani’s Breaking All The Way turns its lens on Indian b-boys and hip-hop, while Tushar Madhav and Sarvnik Kaur’s A Ballad of Maladies explores how dissent is expressed through art in Kashmir. Beeswaranjan Pradhan’s The Tribal Scoop travels to a small town in the interiors of Odisha to chronicle the stories of its Adivasi population, while Shijith VP’s chronicle of gender discrimination, Nakusa: Unwanted is My Name, depicts a community in Maharashtra where girls are all named Nakusa or Nakoshi, meaning unwanted, because of the preference for a male child. G Dhananjayan’s The Pioneering Duo, a biopic on directors Krishnan and Panju, and Yashaswini Godse’s Prabhakar Pendharkar The Magic Touch on the Marathi writer will also be screened in this section. The International Competition section will feature 19 documentaries, includes entries from Canada, Australia, Bangladesh, France, Poland, Finland, the United Kingdom, and the United States. Seven Indian entries are also competing in this category, including Nupur Basu’s Velvet Revolution, based on female journalists covering conflicts in different parts of the world, and Yousuf Saeed’s Campus Rising, about student agitations in colleges and universities across India in 2016-’17. Acclaimed filmmaker Kamal Swaroop’s Atul, a documentary on renowned artist Atul Dodhia, and Shabnam Sukhdev’s biopic on architect Didi Contractor titled Earth Crusader will also compete in the section. The six international short films in this category include two entries from India – Amar Kaushik’s Grandfather and Jahnu Barua’s That Gusty Morning. Other countries on the list are South Korea (Nakyung Kim’s My Turn), Israel (Nadav Direktor’s The Egg), Singapore (Anshul Tiwari’s Wabi Sabi) and Estonia (Anna Hints’s Ice). The International Prism section features Kamal Swaroop’s celebrated documentary Puskhar Puran, about the annual Pushkar fair in Rajasthan. Two Israeli entries will be screened in the section, including Sagi Bornstein and Udi Nir’s #Uploading_holocaust, which is composed entirely of YouTube videos. Mahera Omar’s Rebel Optimist on the life of Pakistani activist Perween Rahman, and Japanese filmmaker Nakamura Takayuki’s Zen and Bones, the biopic of an unconventional 93-year-old Japanese-American Zen monk, are also in this non-competition section. Indian films listed in the International Prism category include Aniruddha Sen’s Saints of Sin and Malati Rao’s Born Behind Bars. In the package titled Stories from South Asia and curated by filmmaker and editor Reena Mohan, there are 31 shorts, fictional films and documentaries of varying length. Seven of these films are about childhood, and include films about a child ragpicker from Afghanistan and a fictional short about an old and a young monk from Nepal. Acclaimed Bangladeshi director Yasmine Kabir’s Roshi looks at the employment of children in the rope-making trade. The package includes Pankaj Johar’s Cecilia, which follows his Assamese maid’s attempts to seek justice for her daughter, who was trafficked and found dead in Delhi. The Ektara Collective’s Chanda Ke Joote is a fictional short about a girl who hates to wear shoes. The sub-section Home has films from Bhutan, Bangladesh and Nepal, while The Worlds of Women includes The Mermaids of Churna Island, about Pakistan’s only scuba diving instructor, and a documentary on Qandeel Baloch. Noted Nepali director Kesang Tseten’s Hospital looks at the working of a government hospital in one of Nepal’s most backward districts. 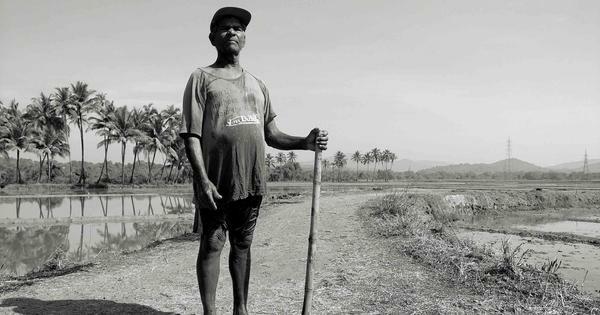 Jude Ratnam’s Demons in Paradise is a personal documentary on the filmmaker’s experiences with the Tamil civil war that was crushed by the Sri Lankan government in 2009. Mohan has also co-curated a package (along with Ilang Ilang Quijano) from the Philippines. This includes Jewel Maranan’s Tondo, Beloved: To What Are The Poor Born?, set in Manila’s Tondo district, and Nick & Chai, about a couple who lost their four children to the Super Typhoon Haiyan in 2013.